And Moses turned and went down from the mountain, and the two tablets of the Testimony were in his hand: tablets inscribed from end to end, on the one side and on the other were they written. And the tablets were the work of G-d, and the writing was the writing of G-d, engraved upon the tablets. The Torah refers to its 613 divine commandments by an array of synonyms: mitzvah (commandment), dibbur (word), mishpat (law), ed (testimonial), and chok (decree), among others. Chok implies a supra-rational decree -- a law observed in submission to an authority which we have neither the right and capacity to question. Thus, chok is also the name of a certain class of mitzvot -- the chukim -- which the human mind cannot rationalize: mitzvot such as the prohibition to mix meat with milk and the laws of ritual purity, which exemplify our innate inability to fathom the divine will. The literal meaning of chok is engraving. Indeed, explains Chassidic master Rabbi Schneur Zalman of Liadi, the difference between the supra-rational chok and rational law or testimonial, is the difference between engraved letters and written letters. The Torah was given to us in writing: by divine command and dictation, Moses wrote it in physical ink on physical parchment, giving us the Chumash (the five books of Moses), also referred to as Torah SheBichtav, The Written Torah. Even in its spiritual incarnation, before G-d willed that it be translated into a guide to physical life, the Torah is described by the Midrash as written in black fire on white fire--the supernal equivalent of ink on parchment. But there is also a more basic state of Torah--Torah not as written law but as engraved law. The Zohar speaks of a level on which the Torah exists as the genesis of the divine will, engraved in the supernal purity. In its transmission to man, the written Torah was also preceded by an engraved Torah: the entirety of the divine law was first given to us encapsulated in the Ten Commandments, which were etched by the hand of G-d in two tablets of stone. When something is written, the substance of the letters that express it (the ink) remains a separate entity from the substance upon which they have been set (the parchment). True, the two have bonded to form a single entity--the document--but this remains an entity that consists of two things: the ink and the parchment, the message and the medium, the definitive forms and the abstract background. On the other hand, letters engraved in stone are not added to their medium but are forged in it: the words are stone and the stone is words. A persons understanding and feelings are inked upon his soul. These are things he has acquired and has come to identify with, to the point that they comprise his personality; nevertheless, they remain an addition to his quintessential self. He distinguishes between his I and his intellect and emotions: the former is set and unalterable, while the latter are in a state of flux, developing and changing as he progresses through life. Thus, the rational mitzvot, which we observe with an understanding and appreciation of their positive function--as they indeed should be observed, for it is to this end that they were garbed in garments of reason--are as ink written upon the parchment of our souls. Something has been added to our self, appended to our psyche with the adhesive of reason and emotion. I am doing the mitzvah only to the extent that our intellect and feelings are "me"--to the extent that ink and parchment become one in the document. The chok, however, is an engraved decree. We do it for no reason other than our innate obedience to G-d. And our obedience to G-d is not something we acquire or develop (though there might, at times, exist the need to waken it, when it is silenced and suppressed by the dross of material life). It is something that is of our very essence, something impressed in the spark of G-dliness at the core of every soul. Chok, however, is not only a certain type of mitzvah; it is also a general name for all of G-d's commandments. This is expressed in the opening words of the Torah section that bears the name of the engraved mitzvah--the section of Chukat (Numbers 19-21). Chukat begins with the law of parah adumah (the red heifer), which is prefaced with the statement Zot chukat haTorah--"This is the chok of Torah". The simple meaning of these words is that this mitzvah is the chok of Torah, the ultimate supra-rational law. Indeed, the law of the red heifer is often cited as the prototypic chok--the law of which King Solomon, the wisest of men, said: I sought to be wise to it, but it is distant from me. There are other mitzvot that defy rationalization; but the law of the red heifer is also counter-rational, replete with paradoxes and logical inconsistencies. But the words This is the chok of Torah have another meaning as well. As Rabbi Schneur Zalman of Liadi reads it, the verse is telling us: This is the mitzvah that expresses the chok of Torah, the most poignant example of the supra-rationality of the entirety of divine law. All of Torah is chok, the unfathomable will of G-d. Thus, the very quality that distinguishes parah adumah from all other mitzvot is the quality that makes it the essence of all of the mitzvot. For each and every mitzvah is an expression of the divine will. Obviously, no reason or function--and certainly no reason or function that the human mind can conceive or understand--can possibly explain or describe a divine desire. So it is wrong to think of Torah as consisting of two parts--rationally inked laws on the one hand, and supra-rational chukim on the other. Rather, these are two dimensions of Torah as a whole, with each mitzvah possessing a written element in addition to its engraved essence. If the human mind agrees with the mitzvah "Do not murder", if it appreciates the profound impact the weekly observance of Shabbat has on our lives, it is only grasping at an auxiliary garment in which G-d chose to clothe His expressed will. On the other hand, even the most mystifying chok can be studied and analyzed, and profound lessons derived from them to guide and inspire our lives. Indeed, the engraved Ten Commandments (which, incidentally, are all rational mitzvot) embody the entire Torah, while also the most supra-rational chukim were inked by Moses upon parchment. Every mitzvah can, and ought to, be related to as the unfathomable will of G-d, driven by the obedience to G-d etched in the core of our souls. And every mitzvah can, and ought to, be appreciated intellectually and emotionally, and thereby appended to our thinking and feeling selves. The only reason we classify mitzvot into logical laws, rational testimonials, and supra-rational decrees is because certain mitzvot have been heavily garbed in reason, so that our natural and initial reaction to them is a rational-emotional one, while others come to us as less veiled expressions of the divine will, with the immediate effect of stimulating our innate obedience to their commander. This is not to say, however, that we are to confine our observance and experience of a mitzvah to the most obvious face it presents to us. In the case of the ostensibly rational mitzvot, we must strive to nevertheless observe them with a simple, self-negating obedience to the divine will. 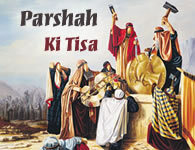 Regarding the chukim, the challenge is to study and ponder their significance (including the significance and function of their non-rationality as stimulators of our unequivocal obedience to G-d) to the point that we observe them with the passion and intellectual involvement that characterize the most profoundly appreciated law or testimonial. But why bother with such externalities? If the mitzvot, in essence, are the unfathomable will of G-d; if every soul, in essence, possesses an innate obedience to the divine will; why not keep our mitzvot pure? Why not strive only to awaken our intrinsic loyalty to G-d and observe His commandments, without the extraneous ink of intellectual inquiry and emotional empathy? Because G-d commanded otherwise. G-d clothed His unqualifiable will in the patent logic of the mitzvah of charity, in the genius of the Torahs judicial code, in the emotional experience of Shabbat, in the subtle insights we glean from the most esoteric chok. G-d instructed us to not only implement His will but also to study it, analyze it, debate it and expound upon it. Why think and feel when it comes to G-d's decrees? Because this, too, is a divine decree. This is the ultimate meaning of the statement, "This is the chok of Torah". All of Torah is chok: not only is every law and testimonial essentially a supra-rational decree, but also their written surface, also our intellectual-emotional quest to comprehend and appreciate them, is to be undertaken in supra-rational obedience to the divine will. For this, too, we have a metaphor in the two engraved tablets Moses brought down from Mount Sinai. If the difference between rational appreciation and supra-rational obedience is the difference between writing and engraving, the difference between obedience sans reason and obedient reasoning is the difference between two types of engraving. Usually, engraved letters penetrate below the surface of the stone but do not cut through it from end to end. In other words, while the letters form an integral part of the stone, not every part of the stone is of the defining substance of the letters. If the letters are carved one inch deep in a two-inch-thick tablet, then only the front inch of stone is engraved. This is comparable to a mindless obedience to the divine will. The person's performance of the mitzvah is engraved in his soul's essence, but it does not cut through it from end to end. Certain aspects of his being--his intellect and emotions--remain untouched. True, these are the more external, appended aspects of his being--the reverse of his stone, if you will--but they are part of it nonetheless. However, regarding the two tablets that embodied the Ten Commandments, we are told that they were inscribed from end to end. Each letter was a complete hollow, bored front to back; every inch of stone was both the medium and the substance of the letters. This represents a state of being in which also the externalities of the soul--the elements of self usually associated with writing--are part and parcel of the engraving of the divine desire in the human essence.